The Tobacco Control Act prohibits anyone from smoking in enclosed public premises. It applies to, but is not limited to, the enclosed common areas of any co-ownership comprising two dwellings or more. Terraces and outside areas - operated commercially - are also governed by this prohibition. Do not take for granted that the words “common areas” have the same meaning as “common portions”. The Law applies only to public enclosed areas of a co-ownership. Therefore, it does not apply to all common portions. How does this prohibition apply to co-ownership? There are many common portions where the Law prohibits smoking. They include, among others, the entrance halls, interior swimming pools, staircases, hallways, elevators, tents in all sizes, electrical and mechanical rooms, meeting rooms and community rooms. This prohibition also applies to private portions accessible to the public, such as commercial premises, restaurants or bars etc. However, it does not apply to residential private portions, and to outside common portions of the building, such as balconies, gardens and swimming pools. Who is responsible of the enforcement of the Tobacco Control Act? Regarding the application of this law, the duties of a syndicate of co-owners are not expressly specified. However, Article 1039 of the Civil Code of Québec provides that the syndicate must oversee the protection of the rights appurtenant to the immovable or of the co-ownership, as well as all business in the common interest. To avoid liability, it is in the best interest of the syndicate to identify, in the by-laws of the immovable, the common and private portions covered by the Tobacco Control Act. Nothing nor anybody can prevent a co-owner from smoking tobacco in his private portion, unless the destination of the immovable prohibits it. To be legally enforceable, the prohibition must be expressly mentioned in the declaration of co-ownership (Constitutive Act), preferably from its registration. If this is not the case, it will be extremely difficult for a syndicate, if not impossible, to prohibit smoking in the private portions of the immovable. One has to keep in mind that article 1102 of the Civil Code of Québec renders without effect any decision of the syndicate which, contrary to the declaration of co-ownership, imposes to a co-owner a change in the destination of his private portion or a change in the use he may make of it. Thus to achieve a ban on smoking, the consent of all the co-owners may be required. However, a co-owner inconvenienced by secondary smoke – from another unit of the building – could consider a legal recourse based on neighbourhood annoyances against the co-owner at fault. The plaintiff will have to demonstrate that the annoyance is abnormal, in that it goes beyond the limit of tolerance neighbours owe each other, in accordance with article 976 of the Civil Code of Québec. WHAT YOU SHOULD KNOW! Since November 26, 2015, smoking also includes the use of electronic cigarettes or of any such device. WHAT TO KEEP IN MIND: To prevent secondary smoke inside a building, all the co-owners must get involved. Contrary to the belief of a majority of directors, there are common portion components in each private portion, such as common walls, which may not be smoke proof, and allow the propagation of secondary smoke in the contiguous apartment. WARNING! 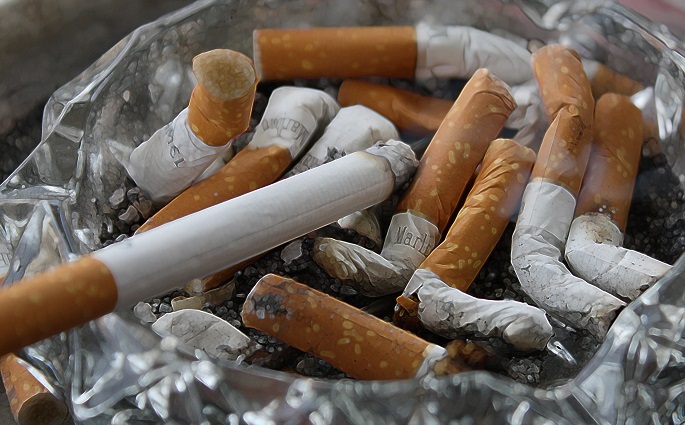 Infractions to the Tobacco Control Act are subject to fines. Inspectors have been appointed to enforce the Tobacco Control Act, against natural and legal persons. Anyone impeding the work of an inspector or refusing and/or neglecting to supply, following the request of an inspector, information or documents related to the application of the Tobacco Act and its Regulations, can also be fined.